On Saturday, July 1st, the creative, beautiful, knowledgeable and talented Marina Terteryan, founder of Why Service Design Thinking Podcast and co-founder of the Good Projects, lead us in a Design Thinking workshop at Cross Campus. 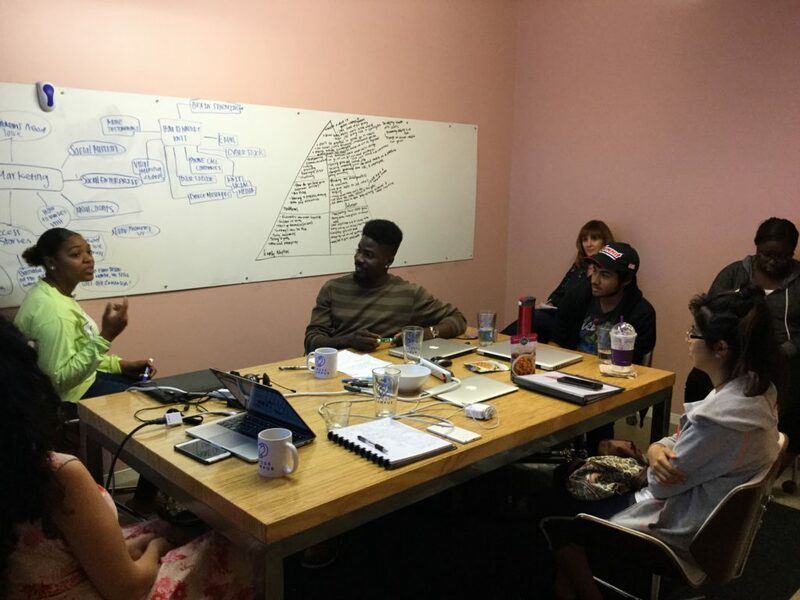 We learned all about Human Centered Design and how it’s essential for good business. 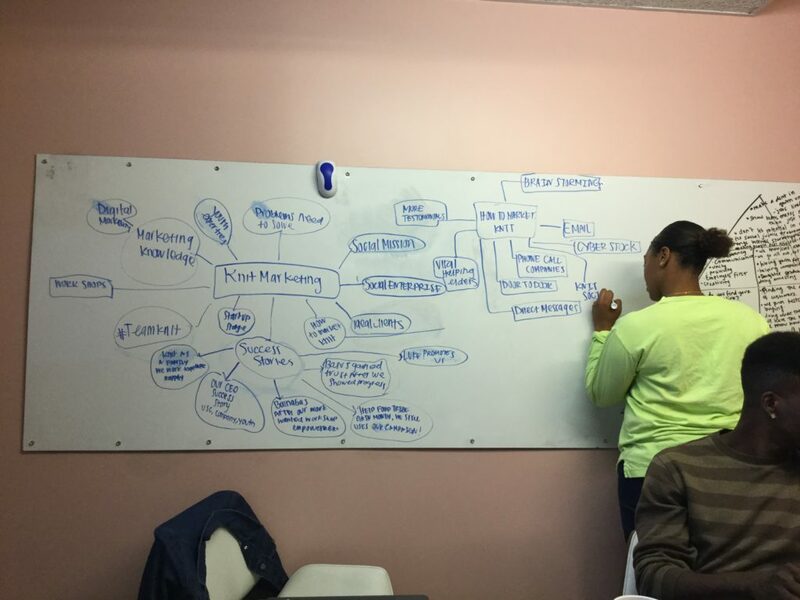 Then we did a deep dive into our own marketing strategies using some Design Thinking methodologies. Read more about our journey below. 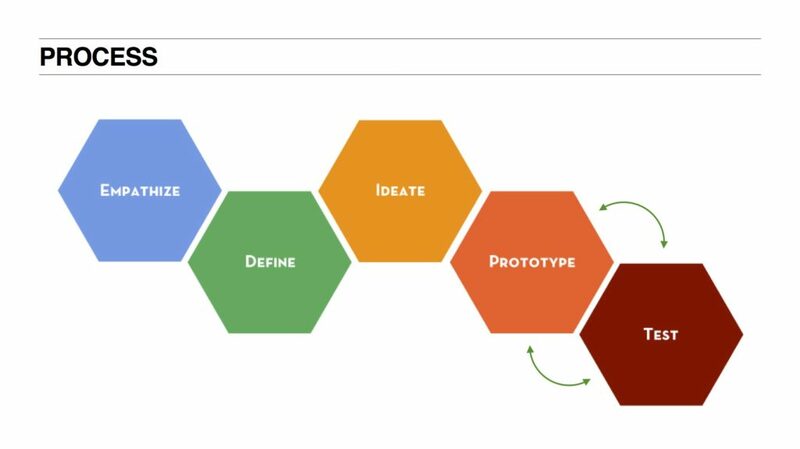 Human Centered Design is: optimizing an experience, service, or product by considering the user’s needs during all phases of the development lifecycle. Marina led us in an exercise on developing a buyer persona, which was fun because some of the team already felt like experts, as this is a tool we use for our clients at Knit as well. The idea is to create a fictional persona that might be buying your product or service. We made a fictional character based on one of our client’s buyers. We had a good time coming up with a name, some personality characteristics, where our buyer hangs out, what he reads, what problem he’s looking to solve, and even some objections that he might have with the product. For any business, this is a worthwhile exercise. Get your team in a room, think about your frequent buyers or callers and give them a buyer persona. This will help you be better prepared to answer their questions and meet their needs. 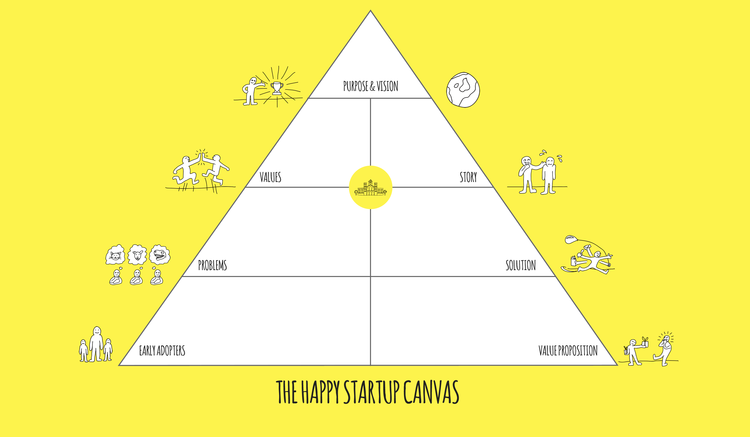 Marina shared a cute and fun framework with us, called the Happy Startup. Marina did a great job guiding us in discussion and pulling out comments, opinions, and great ideas from everyone on the team. It was really great to hear everyone’s thoughts, what they’re excited about, and what moves them both in their personal lives and with Knit Marketing. Below, you get a sneak peak into our discussion. 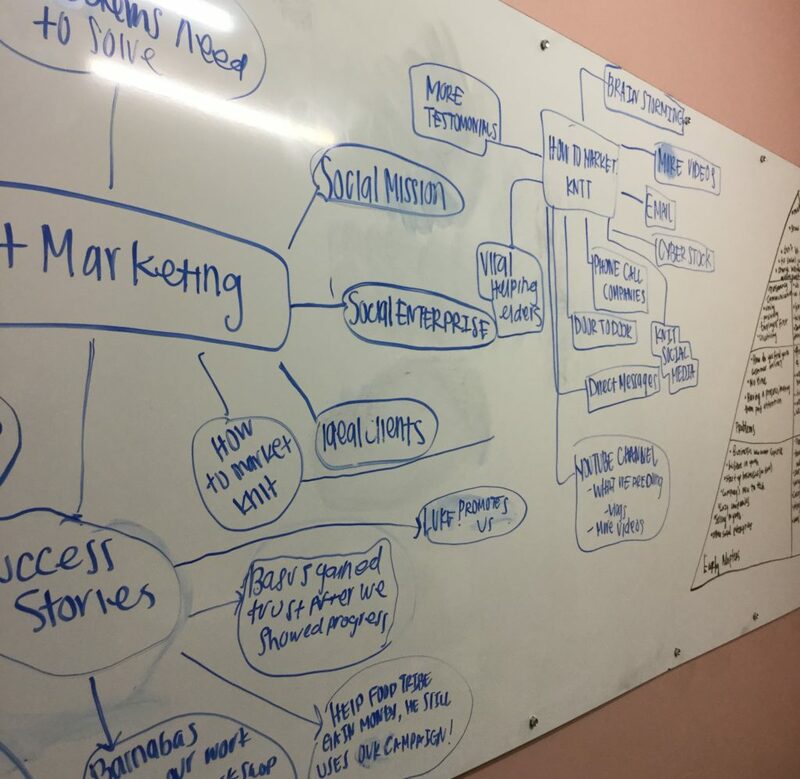 Mind maps are an underestimated tool. We learned that it’s not even the tool that makes them so powerful, but the people in the room. Marina had us list lots of different facets of Knit Marketing, and then from each category, we had to pull out more specific details. We focused on Knit Marketing success stories, and how to market ourselves. It might seem strange that a marketing company would have to brainstorm about how to market itself, but we’re always open to new ideas and it was fun to see what we could create together. 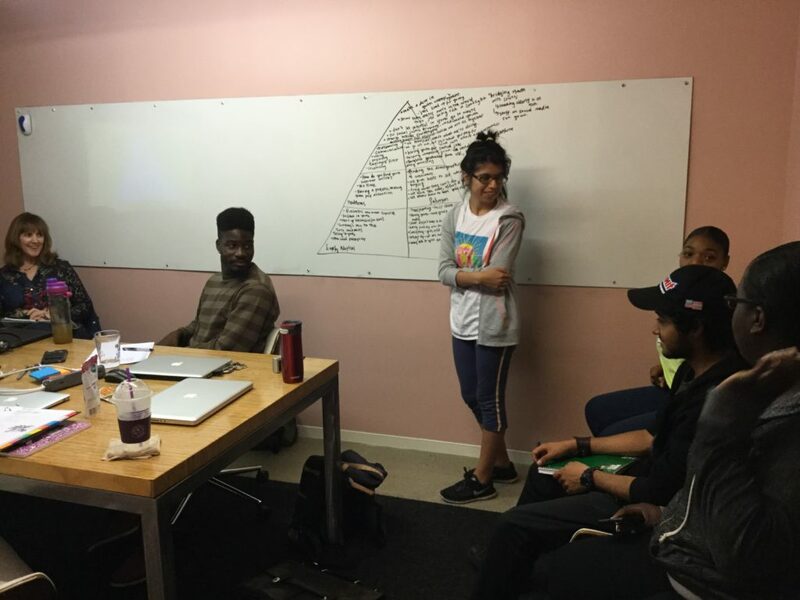 The team came up with so many great ideas in just a short amount of time. Our eyes were open to where this little tool could lead us. 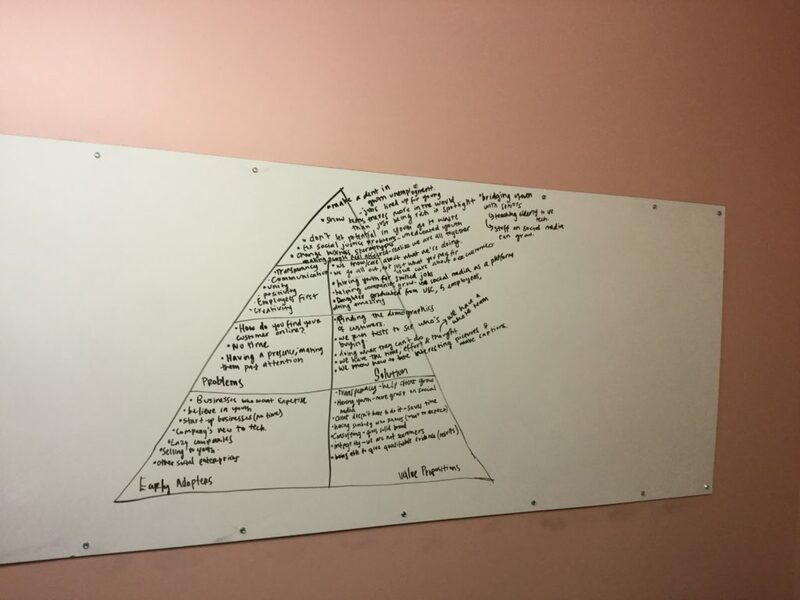 In fact, we’ve already used it since our workshop with Marina to plan out our content strategy! We are beyond grateful to Marina for her time and excellent facilitation skills. We’ve all talked a lot about our workshop since, and will continue to use what we learned and put our new Design Thinking skills to use! And thank you for stopping by our blog! Knit Marketing is a digital marketing company dedicated to helping companies bring their marketing dreams to life. Contact us for more information.